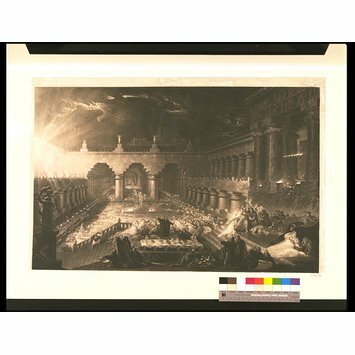 Print, with lettering parly torn off. 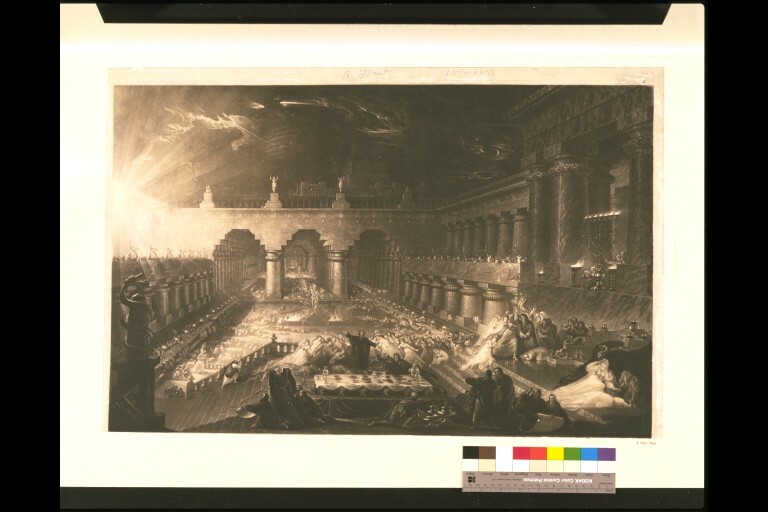 Impression of a mezzotint by John Martin (1789-1854), titled 'Belshazzar's Feast', engraved in 1826. 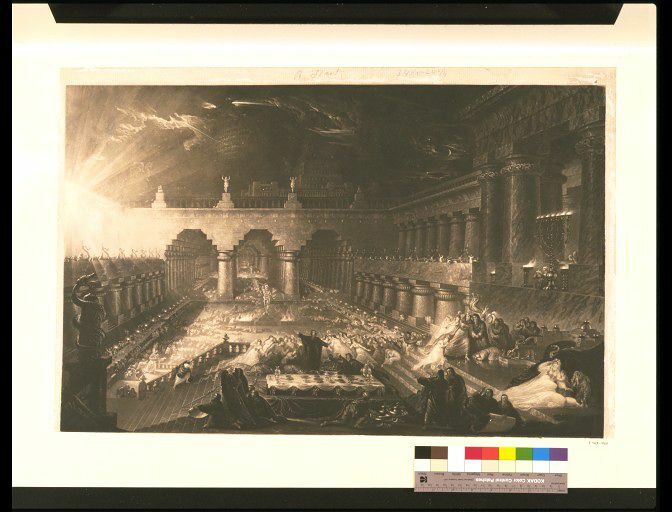 This print is probably 19th century.